PORTLAND, Maine — Maine’s American Indian tribes want state officials to come to the table for a potentially wide-reaching agreement about the way the tribes harvest commercial fish. Passamaquoddy legislative Rep. Matthew Dana says members of Maine’s tribes have fished for thousands of years and deserve a bigger role in state decision making. His bill would allow for cooperative management of lucrative marine species such as lobsters, clams and baby eels. The tribes’ request represents a broadening of an earlier drive by the tribes to get reach agreement with the state about fishing for baby eels. 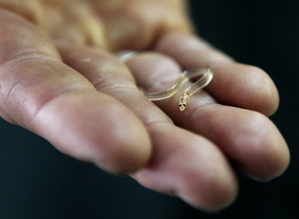 The Passamaquoddies and state regulators clashed last year about a state requirement that tribal elver fishermen be subject to individual quotas. The tribe eventually relented. Concern over more scrutiny – and possibly a lawsuit – has prompted residents of a town in Maine to rename a private road to something less offensive. 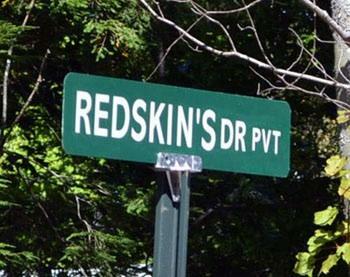 In August, the board of selectman in Wiscasset, Maine voted s 3-1-1 to name a road there “Redskins Drive” after the now-defunct name of the town’s high school. In 2011, the school’s mascot and name were changed to the Wolverines. Recently, property owners of where the road is located submitted a request to rename it “Micmac Drive” to evade further confrontation. A letter signed by property owners, dated September 23, gave consent to change the road name “to avoid any further conflict or potential lawsuits with the Indian tribes in the state.” They offered Micmac Road as an alternative, The Times Record reported. Activist and artist Gregg Deal of the Pyramid Lake Paiute Tribe commended the move to change the name, but he questioned the ubiquitous practice of honoring Native Americans by naming streets and cities after them. Deal, who advocates for changing the name of the Washington football team, added sovereign nations have the right to decide whether or not they want to be honored in such a manner. Regardless that the name “Redskins” is no longer the high school mascot, and given the road’s name is on its way to a change, people in the town of Wiscasset still have affection for the old moniker. Chief Edward Peter Paul of the Aroostook Band of Micmacs told The Lincoln County News he approves of the name Micmac Drive, according to The Associated Press. The selectman will consider the name change on Tuesday. Representatives of Wiscasset did not respond for comment. Penobscot Indian Nation Chief Kirk Francis and former Chief James Sappier, an Elder Council member, have separately asked the Wiscasset Board of Selectmen to rescind a vote allowing a private road to be named Redskin’s Drive. But if Selectman Bill Barnes has his way, that’s not likely to happen any time soon. 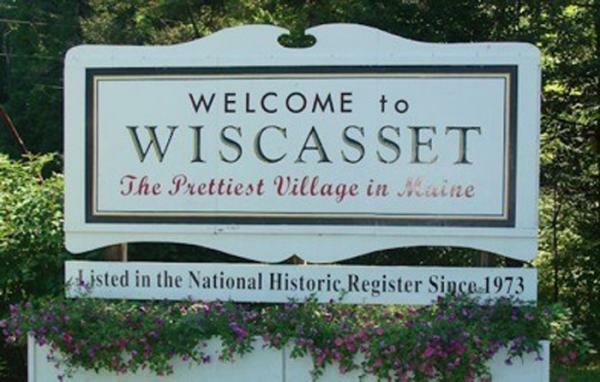 The selectmen of Wiscasset, Maine, population 1,097, voted 3-1 with one abstention on August 21 to approve a resident’s request to name a small, private road Redskin’s Drive. Vice Chairman Ben Rines made the motion, Barnes and Selectmen Tim Merry voted with Rines to approve the motion, Selectman Jefferson Slack abstained and Chairwoman Pam Dunning voted against it. The offensive word has been a contentious issue in Wiscasset for years. In 2012 after a bitter yearlong battle, the school committee voted 4-1 to change the Wiscasset High School’s mascot from Redskins to Wolverines. The word is so offensive to American Indians generally and particularly to Maine’s Wabanaki nations – the Penobscot, Passamaquoddy, Maliseet and Micmac tribal nations—because it reminds them of a time when they were hunted by settlers and their bodies and scalps sold to the Commonwealth of Massachusetts, Frances wrote. “The 1755 Spencer Phips Proclamation placed a bounty specifically on my people, the Penobscot, offering payment up to 50 pounds for each man, woman and child. When scalps were brought in for payment, they were referred to as ‘redskins,’” Francis wrote. He talked about the real harm that derogatory terms like redskins have on Indian communities, eroding children’s self-esteem and contributing to the poorest educational outcomes and the highest suicide rates in the country. “Suicide rates among Native people have risen 65 percent in past ten years. The American Psychological Association called for the elimination of this term in 2005 citing serious negative consequences on the mental health of Indian youth and the Center for American Progress has recently deemed its use a civil rights violation,” Francis wrote. Any use of the word is “extremely offensive,” the chief wrote, urging the board to overturn its decision. “It is not too late to make this sincere gesture and begin the journey toward deeper understanding and a mutually respectful relationship,” Francis wrote. Sappier, who served as chief from 1986-1992 and from 2004-2006, told the selectmen that allowing the Redskins name to be used was based on racism or ignorance of the “true history” of the country ‘’where hundreds of villages were completely wiped out due to the small pox epidemic that ravaged through our tribal villages throughout the northeast,” he wrote, adding that the smallpox as deliberately introduced. “Please do change this racist name to one more acceptable [and] appropriate to/for all peoples,” Sappier wrote. The Penobscot chiefs have asked you to rescind your vote allowing the Redskins name to be used because the word is offensive. Will you do that? Well, I don’t feel it’s anything bad. But Indians say the term is bad and offensive. No, I really don’t feel its offensive. But you’re not Indian, are you? Nah, but I think what needs to be done is remember the Indians so they don’t get forgotten because if it hadn’t been for the Indians in this country the white man would have never survived. The Indians are offended because the word was used to describe the scalping of Indians here in Maine. I certainly wouldn’t do anything to hurt the Indians, that’s for sure! Would you ask the board to rescind its vote? I don’t think I would because I think the Indians need to be remembered and that’s one way to remember them. But they say it offends them and it hurts their feelings and harms their children. Well, I have all the respect in the world for them and I think a lot of us have a little Indian blood in us and I can tell you right now there is nothing I would do to hurt the Indians. Like I said, the white man would never have survived and what really bothers me is what the white man did afterwards – put ‘em on reservations and put ‘em places where they thought they wouldn’t exist. But a name? That name shouldn’t bring any harm to the Indian and I have all the respect in the world for the Indian and anything they’ve gotten, they certainly deserve. But they would like you not to use the name Redskins. I’m not going to recommend that it be taken down. Proponents of the Clear Skies ordinance, wearing blue, packed a South Portland city council meeting on July 9. “Do not under estimate the power of a local government,” said Kuprewicz. Roger Drouin is a freelance journalist who covers environmental issues. When he’s not reporting or writing, he is out getting almost lost in the woods. He blogs at rogersoutdoorblog.com. 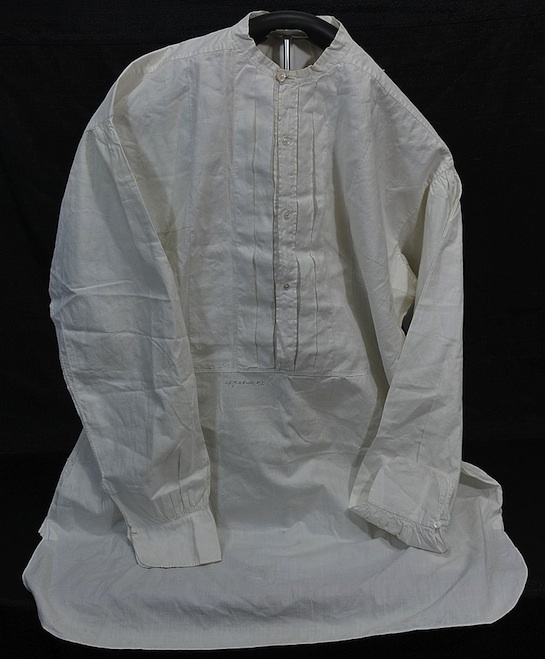 A shirt belonging to George Armstrong Custer is up for auction this Saturday. The shirt was authenticated by the Custer Battlefield Museum in Montana, according to the Saco River Auction. The estimated price is $1,000 to $1,500. Also up for auction are artifacts that are said to be from the Battle of the Little Bighorn, where Custer and the 7th Calvary were defeated by Lakota, Northern Cheyenne and Arapaho forces in June 1876.